Yare & Bure One Design Class. The Yare & Bure One Design is simply a design classic, it’s designed for sailing on the Norfolk Broads. 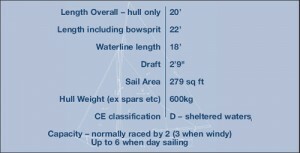 For Norfolk sailing, a White Boat or YBOD is ideal. The YBOD is also known as a White Boat. Over 100 years old, it was designed to be, and remains, a truly versatile boat, providing thrilling racing one day and pleasurable day sailing the next. 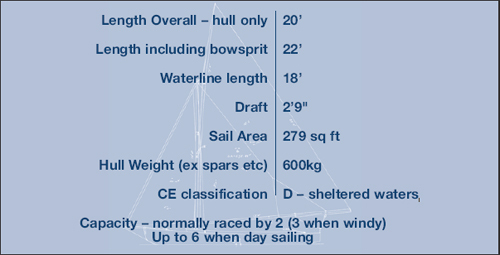 Its ease of sailing and safety makes the YBOD excellent for novices and children, yet it is speedy enough to challenge and satisfy the more experienced sailor. For many owners, its appeal can be summed up in three words: Grace, Pace and Space. A beautifully proportioned design, which quite simply looks right on the water. 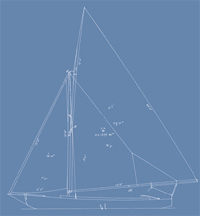 Reputedly the design was inspired by the sight of a duck gliding through the water, manifesting itself in the YBOD’s signature features of a broad bow with a slightly uplifted transom. The hull shape is easily driven and suits the inland waters perfectly. The powerful rig is able to capture even the softest puff of breeze over the trees. An efficient rudder combined with a short keel makes for fast turns in the often restricted waterways of the Norfolk & Suffolk Broads. With a combination of speed and response to the helm, it is no surprise that the Yare & Bure is chosen by many of the best sailors on the Broads. The class has the strongest fleets of all the local keelboat classes, with regular turnouts amongst the highest in the country. But it is not just about numbers; the quality of competition is extremely high. These boats have the space inside to sail comfortably. This makes racing more pleasurable and also means that you have room to entertain friends and family – a luxury not usually available on most similar sized keelboats.